Gear Circle: How do I adjust the volume on my Samsung Gear™ Circle? You can adjust the volume for your Samsung Gear™ Circle using the Volume control touch pad on the device or the volume controls on your connected mobile device. 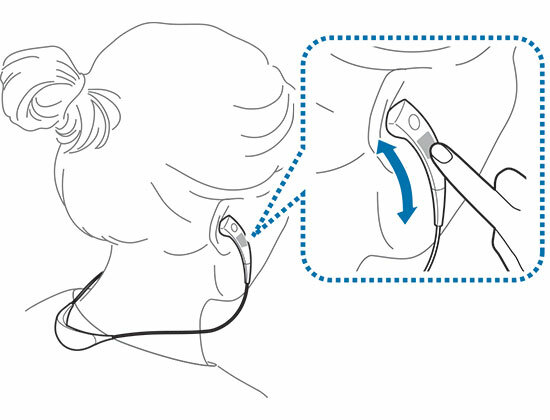 When you are wearing your Gear Circle earphones, you can adjust the volume by swiping the Volume control touch pad on the outside of the right earphone. Swipe up to increase the volume or down to decrease it. When the volume reaches its maximum or minimum value, your Gear Circle will vibrate. When you are taking a call or listening to media from your connected mobile device on your Gear Circle, you can adjust the volume using volume controls on your mobile device. You can adjust the volume for your Gear Circle using the Volume keys on the side of your mobile device. 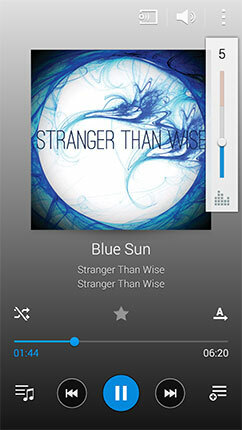 You can also adjust the volume using volume controls within applications. For example, touch in the Music application on your mobile device to adjust the volume of music streaming through your Gear Circle earphones. Gear Circle: How do I use Gear SoundAlive™?